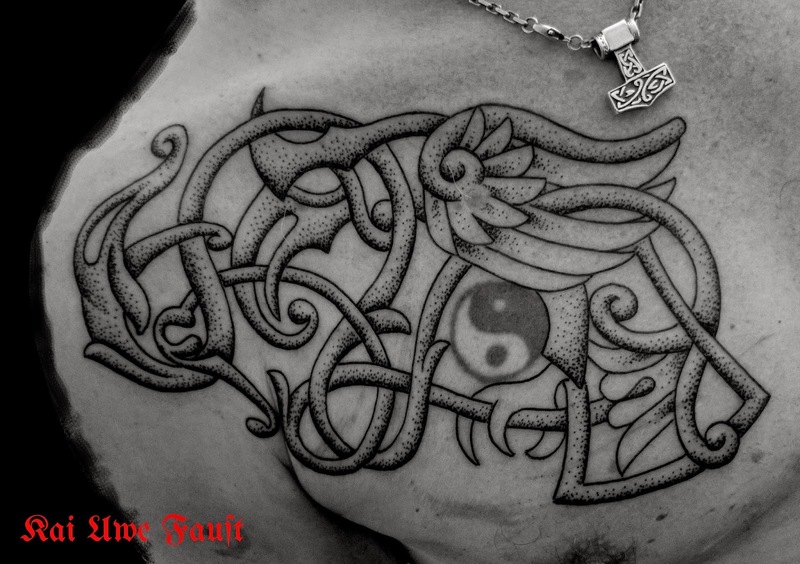 The Ying Yang tattoo was there before. Also notice the birthmark in the wing. I usually don´t tattoo over such marks. Skin doctors recommend not to irritate or scratch molds in general.